Great news to fans of Cross Way Bay Hong Kong Roasted Meat which used to be at Tampines Street 43 before moving to Johor Bahru, Malaysia. 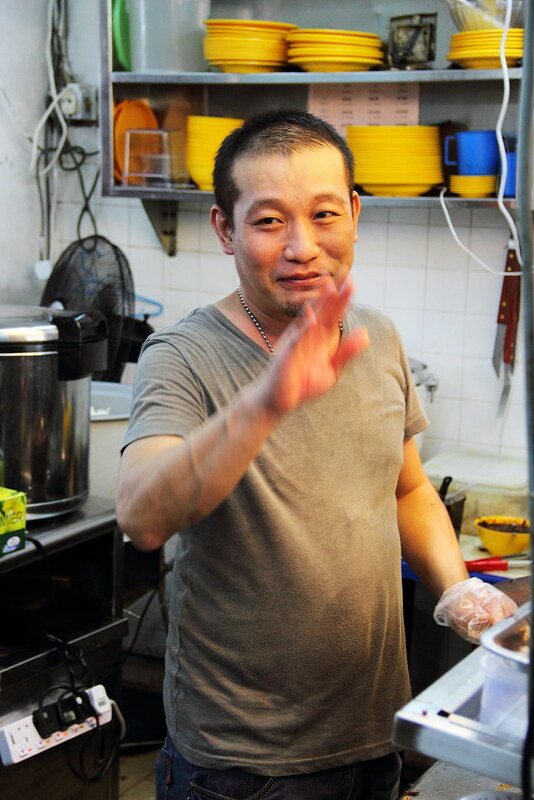 The stall owner, Martin has moved back to Singapore and doing what he knows best, roasted meat. 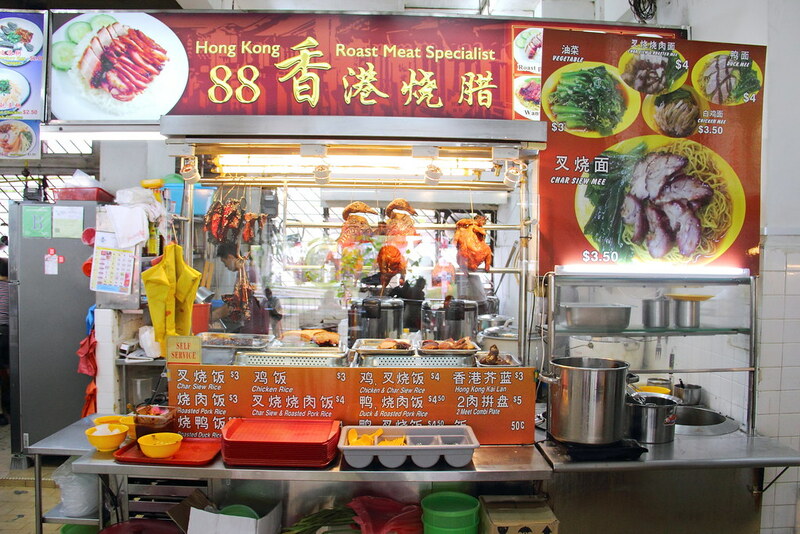 He has opened a new stall and called it, 88 Hong Kong Roast Meat Specialist at Bukit Batok East Ave 2. What made Martin popular is his biscuit like Sio Bak. Even KF Seetoh wrote an article in Makansutra recommending Martin's Sio Bak. Unfortunately when we reached the stall at around 4pm, he told us that the good cut has been sold out and can only give us what is left. Someone ever told me that a good Sio Bak should have seven different layers and martin has retained that consistency. While the skin is still crispy and brittle but somehow lacks the standard it used to be. Later did I realize that he is still waiting to install his charcoal roasting oven as he is currently using what is left behind from the previous owner. 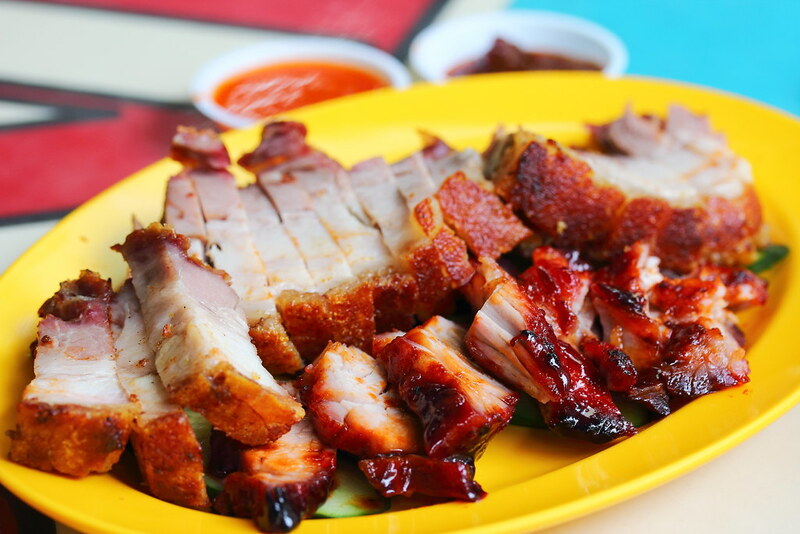 On the other hand, it seems like he has improved on his Char Siew. 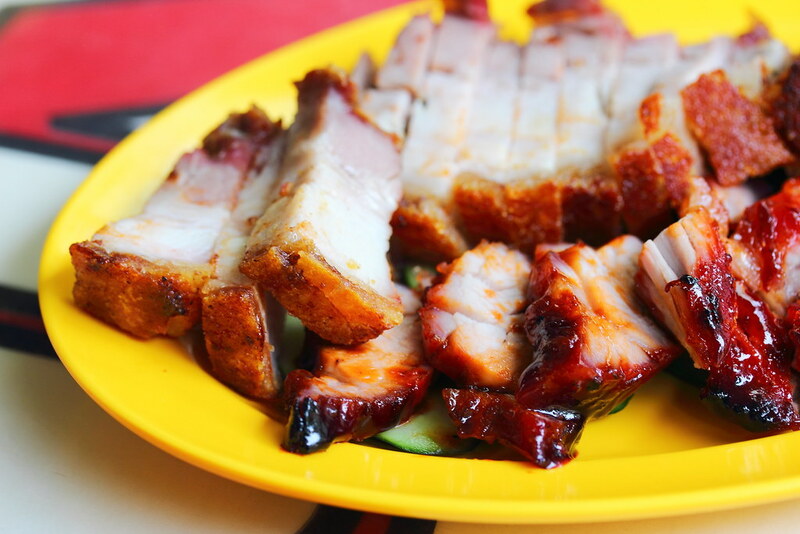 The char siew was not too sweet, tender and with hints of charred aroma. It seems like when Martin moves to Johor Bahru, he has improved in his roasting skill. 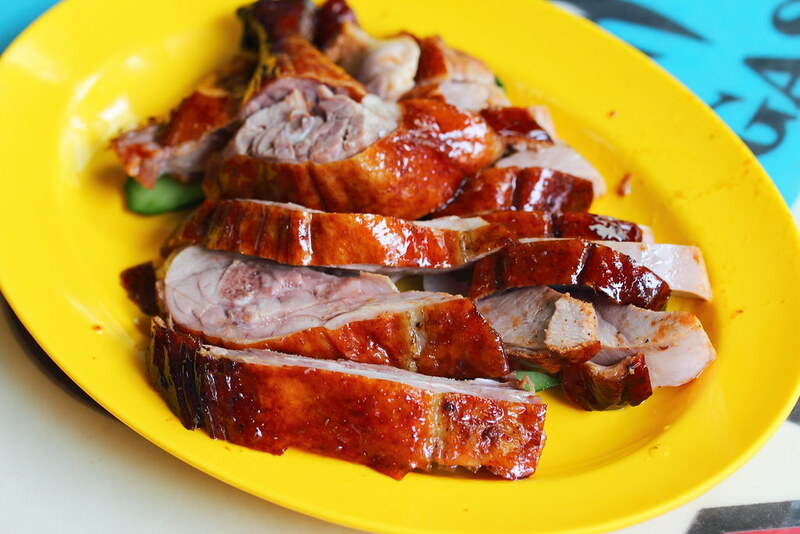 His Roasted Duck turned out to be pretty good too. The skin was crispy and the meat was tender. I even packet some back for my family to eat. 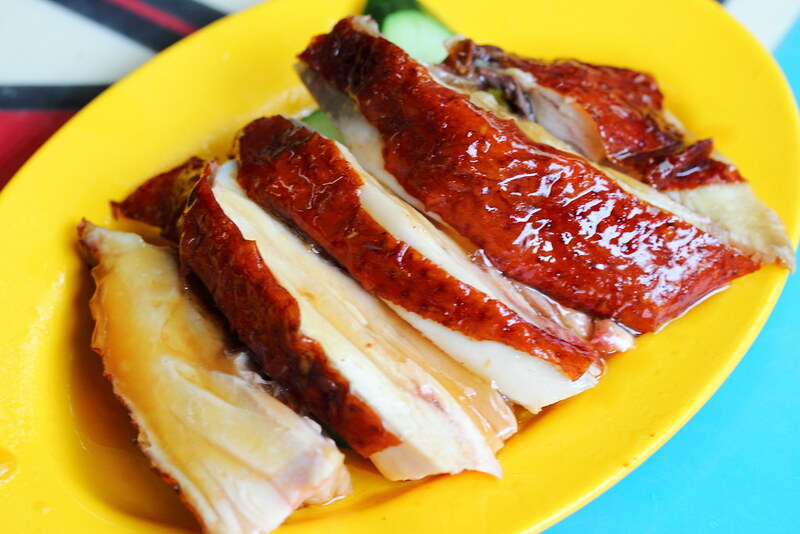 The Roasted Chicken was the other surprise with its tender and moist meat. The sesame sauce that is drizzled over the chicken provided the extra lift in flavour. I am glad to know that Martin has moved back to Singapore. I can't wait for him to get his charcoal oven installed and go back to try his sio bak again, maybe the rest of the roasted meat too.